Healey Library is pleased to share some new resources with you, including a trial resource on which we are seeking feedback! You can search for these magazines in UMBrella or find Flipster on our Databases A-Z list. Be sure to also check out the Flipster app for Android and iOS. ATTENTION FACULTY! If you have previously used Books 24×7 books in your classes as assigned or suggested readings, please update the links to direct to the new Skillsoft platform. Contact Library.Reserves@umb.edu for any help with updating your links to course materials. Healey Library is currently offering trial access to AccessMedicine, a McGraw Hill collection of professional resources for nursing and health science students and faculty. These resources are a mixture of medical textbooks, such as Harrison’s Principles of Internal Medicine, and online teaching tools, such as animated anatomy modules and procedural videos. This collection was designed to help residents, nurse practitioners, and physician assistants facilitate decision-making at the point-of-care. The library welcomes and encourages feedback on this trial resource from all of our users. In particular, we’re interested in the response from faculty in the College of Nursing and Health Sciences. 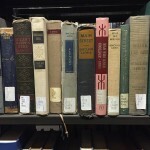 Would faculty consider using the textbooks in this collection as the primary text for their courses? Let us know! Hello to Healey Library patrons near and far! Library patrons will begin receiving email reminders about their Library items. As of February 1, all Healey Library patrons will receive courtesy notices about what you’ve borrowed, reminders when things are coming due or overdue, and reminders of your current borrowing status. Items that are long overdue could be subject to lost book charges, so check your bookshelves and couch cushions for lurking library materials! Please contact Library.Circulation@umb.edu with any questions, concerns, or corrections. To learn more about the growing Open Education movement, please consider attending a FREE regional training event about the Massachusetts Open Education – Achieving Access for All project. For questions about any of these resources, please reach out to Library.Reserves@umb.edu or Open@umb.edu. As always, we look forward to partnering with you to serve UMass Boston’s students, faculty, researchers, and community partners. October 22-28, 2018, is Open Access Week! To celebrate, come to a viewing of Paywall: The Business of Scholarship! There are a lot of reasons to support Open Access (OA) and Open Educational Resources (OERs). The Open Access movement is driven by the ideal that we all benefit when high-quality information is made freely available. It’s a strongly democratic idea, as it holds that our current publishing system privileges those who are able to pay for access (either individually or through association with a college or university). Many people have come to see these barriers to information as an issue of social inequality, and the move to democratize our publishing models has prompted global declarations and support, including UNESCO’s Paris OER Declaration and the Berlin Declaration on Open Access to Knowledge in the Sciences and Humanities. Closer to home, both the United States and Europe have issued mandates stating that publicly funded research must be made available via open access within a limited time frame after publication. Individual institutions, including UMass Boston, are also adopting open access publishing policies for their own researchers. The Faculty Council at UMass Boston adopted a campus-wide open access policy in 2012. And when it comes to our students, researchers have found that students frequently choose not to purchase textbooks because of cost, knowing that this decision may negatively impact their grades. Further, they don’t register for classes, or register for fewer classes overall, due to textbook cost, impacting persistence and time to degree completion. Healey Library provides access to ScholarWorks, UMass Boston’s own open access institutional repository. ScholarWorks is the digital collection of UMass Boston’s intellectual, research, and scholarly output that centralizes, makes accessible, and preserves knowledge produced by the institution. Visit the ScholarWorks homepage to watch as materials uploaded to ScholarWorks by the UMass Boston community are accessed by users around the world. UMass Boston and Healey Library are deeply committed to these ideals. We hope you can join the staff of Healey Library for a viewing and discussion of Paywall: The Business of Scholarship. This one-hour, open access documentary takes a deep dive into the for-profit publishing industry, and we’d love to hear about your own experiences navigating this process as both a reviewer and an author. Happy Open Access Week! Healey Library celebrates unfettered access to high-quality information at all times, but especially this week! Friday, July 27 at 5:00 pm – Sunday, July 29 at 8:00 pm.